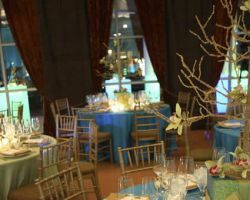 Out of all of the companies offering catering in Atlanta GA, Tucker’s Catering has one of the best selections for both lunch menus and full dinner service. Their menus are tailor-made from one of their comprehensive packages. No matter if you need hors d’oeuvres for a party or a more formal corporate luncheon, they are ready to accommodate their client’s every need. 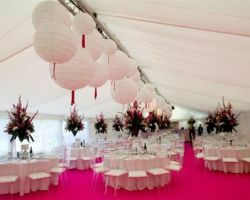 The testimonials left by past clients show how much dedication this team of professionals puts into every event they cater. Having a menu that is inspired by France, this Atlanta catering service will create a mouth-watering meal from the freshest ingredients. Soiree Catering & Event’s expert chefs haven’t stopped here and have now mastered Indian spices, Italian catering and even produce delicious Mexican food. There is no challenge that they won’t face and their team is genuinely excited to be part of your wedding. Their list of clients is impressive and shows they are at the very top of the industry. Over the last decade, Ocean Catering has been defined by one characteristic: innovation. Their reputation throughout Georgia has grown for their careful attention to detail, which produces the most incredible food in Atlanta and surrounding areas. 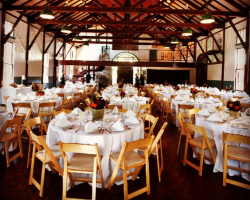 Their chef, Shane McIntosh, and his talented team are able to cater to any taste and style of event. This flexibility, quality and culinary genius does not come cheap, however when you taste Ocean Catering’s food you will know they were worth every penny. 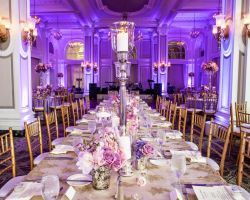 It would be difficult to find a wedding planner in Atlanta, GA that has a more qualified and experienced team of consultants than Janice Blackmon Events. With so many professionals to draw from, this company is ready to face any challenge or difficulty. This means that every couple can have complete peace of mind on their wedding day with Janice Blackmon and her team running the event. If this doesn’t convince you then their long list of accolades and achievements certainly will. The chef Aaron and his partner Jin have formed Louis Kingsley, named after their dogs, to express their love for everything culinary. The food they serve reflects their small family run style, which means it remains affordable whilst also being incredibly tasty. As local caterers, they bring delicious home cooking to you and are able to accommodate smaller more personal events. Whether you choose Aaron’s famous BBQ smoked brisket, good old-fashioned crawfish or one of their more extensive menus, you certainly will not be disappointed. 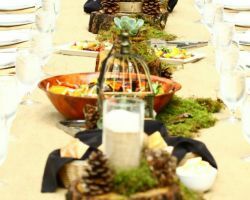 Amongst the wedding catering companies in Atlanta, Serendipity Catering offers a much simpler service. They do not focus solely on weddings so they do not come with the pomp that other companies do. While their approach to hiring them may be straightforward, their menus couldn’t be more extensive. Chef Louie has served many famous clients and his cuisine is always of the very best quality. 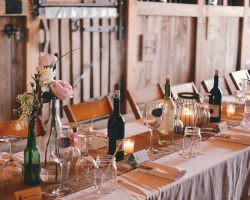 This commitment and relaxed style makes them the perfect wedding catering choice for any couple.